I’m all about simplicity when it comes to entertaining. Little mess and no fuss, is my motto. For this week’s fun little cocktail you’ll need just 3 ingredients – melon liquor, vodka and soda water. This drink is super green and super tasty. 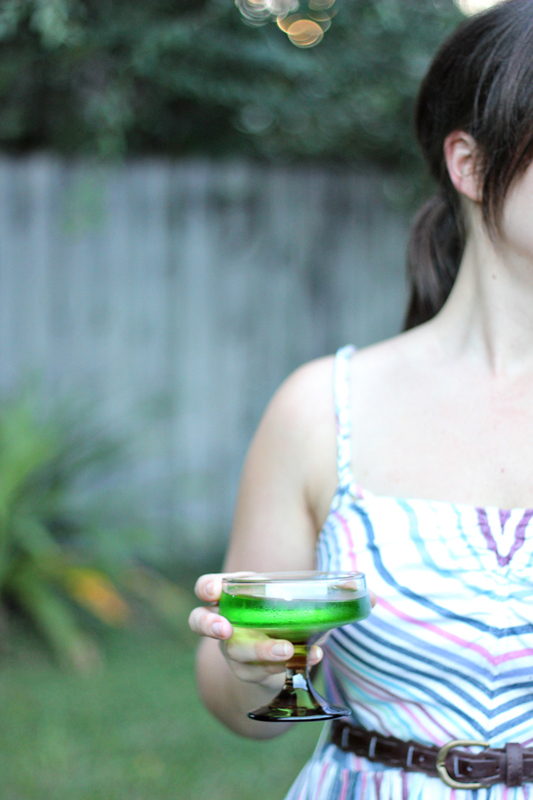 On a side note – this cocktail might be perfect for a St. Patty’s Day party. 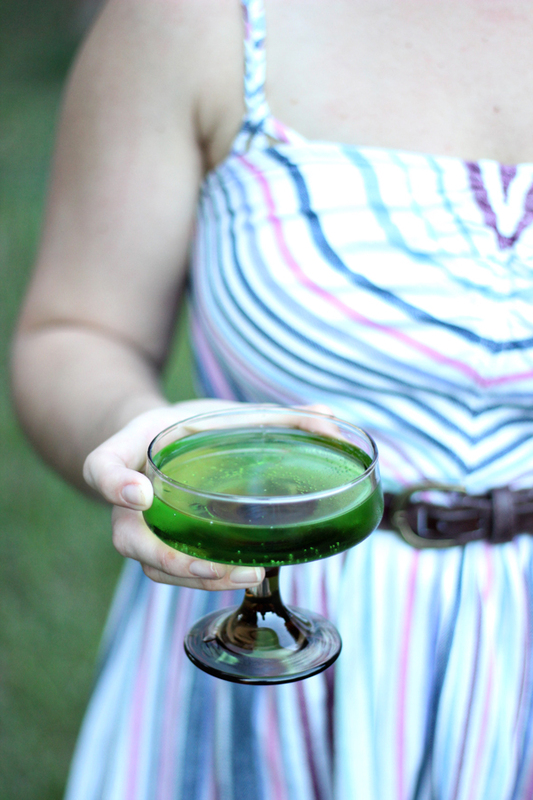 I wanted something light and enjoyable for our evening garden party, and this drink fits the bill. In a shaker mix 1 oz vodka with 1 oz melon liquor. Shake your money maker and pour over ice, top with soda water. I chose to serve these in champagne coups. Alternatively, you cold use small martini glasses. 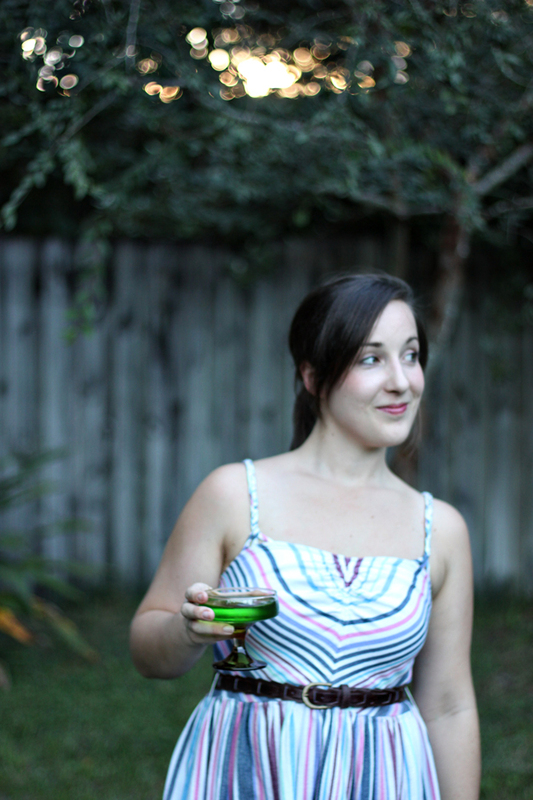 Enjoy this beverage with your besties on a travel picnic blanket like the one I shared on Monday. In a shaker mix 1 oz vodka & 1 oz melon liquor. Pour into champagne coupe and top with soda water. The post Make a Garden Party Cocktail appeared first on The Flair Exchange®.